We’ve seen attempts at free-flowing virtual worlds from the likes of Second Life and the (dearly departed) PlayStation Home, but with VR we’re getting another shot at it. First Facebook Spaces appeared, and now Valve is beta testing SteamVR Home. The Destinations Workshop previously allowed users to build and customize spaces, but opting into Home puts the world up front when they start SteamVR. Now Destinations is Home, and people who have been using it will find all of their avatars and wearables in the new space. With Home, the virtual environments are higher res “and support animation, sound, games, and interactivity.” If you find one you like, you can set it as your default space, and once it’s set up the way you want, you can choose to open it up to the public or invite friends in for a visit complete with voice chat. Brain-computer interfaces are making our childhood dreams of mind control come true. A new device could let paralyzed people control exoskeletons with their thoughts. Developed by researchers at the University of Melbourne, the device plugs directly into the brain without doctors having to perform surgery on the skull. When a wearer thinks about a certain direction — for example, left — the brain fires in a particular way. By uncovering and detecting the way the brain fires, brain-computer interfaces are able to effectively “read” thoughts and translate them into actions. The stentrode has advantages over other devices that detect brain signals. Electrodes are non-invasive but not always reliable when attached to the outside of the head, where they have to pick up signals through the skull. Direct implantation requires brain surgery, and since the brain sees the electrodes as foreign objects, it covers them in scar tissue, inhibiting their function. The stentrode on the other hand is minimally invasive, requiring no open brain surgery, and can pick up brain signals with high fidelity. The device was trialled with live sheep last year. Next year as many as five quadriplegic patients will test the device. The causes of their paralysis vary, including from a stroke, spinal cord injury, and muscular dystrophy. “The end goal is that the person will be able to think about moving and an exoskeleton will obey,” Grayden said. The new tech is timely — modern exoskeletons are quickly surpassing science fiction’s dreams. LG recently released the LG G6, ushering in the era of 18:9 aspect ratio. Until then, we were used to 16:9 aspect ratio, at least on smartphones. The face of LG’s latest phone is nearly 85 percent screen, and while it’s certainly beautiful, all that glass is vulnerable to drop damage and scratches. 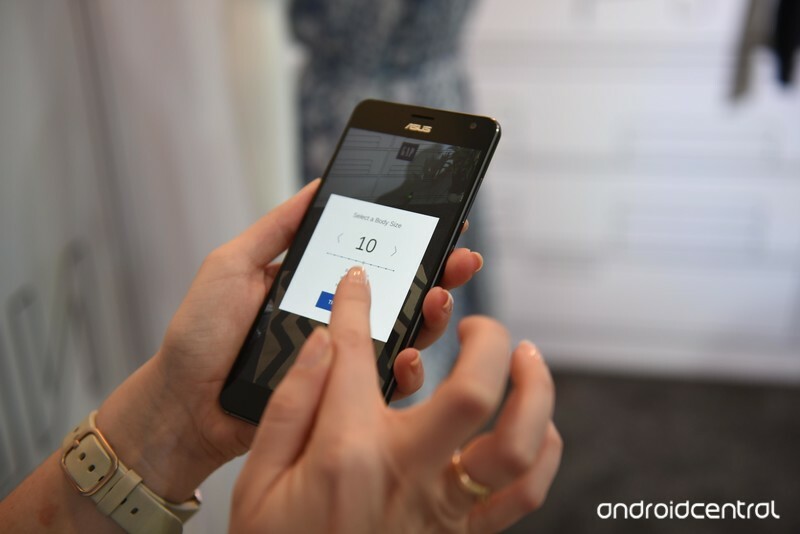 Picking the right screen protector isn’t an easy task, however. Some of them won’t work with cases, while others may affect the clarity or touch sensitivity of your screen. 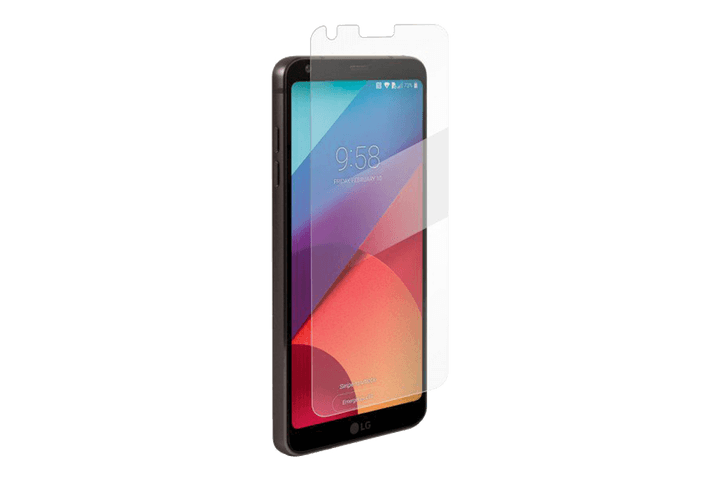 Thankfully, we’ve put together a list of some of the best screen protectors for the LG G6, so you can help protect that beautiful display. When it comes to drop protection, the name Otterbox comes up again and again, and with good reason. This screen protector does everything that you would want a glass screen protector to do. 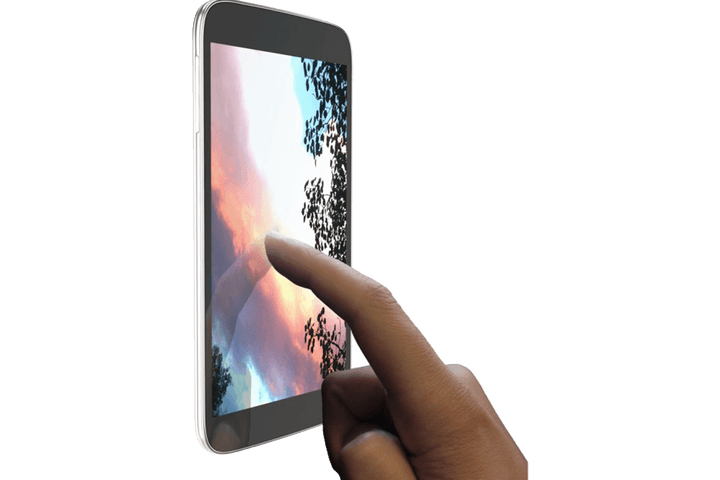 It maintains the clarity of your screen, it won’t interfere with your use of the smartphone as it doesn’t affect screen sensitivity, and it resists both scratching and shattering. Spigen’s G6 screen protector offers decent scratch and shatter protection. The design curves perfectly with the G6’s screen, but it doesn’t go all the way to the edges, which is great if you want to pair it with a case. It has no nasty rainbow effect — unlike cheaper alternatives — and maintains the full clarity of your display. The BodyGuardz protector is interesting in that it uses a new material called Aluminosilicate. The material takes care of something some people don’t like about tempered glass protectors — specifically, their thickness. Aluminosilicate makes for a thinner protector, one that is more protective than its soda-lime-based alternatives. Another advantage to BodyGuardz wears is that they come with a lifetime guarantee, assuming you purchase them from an authorized reseller. 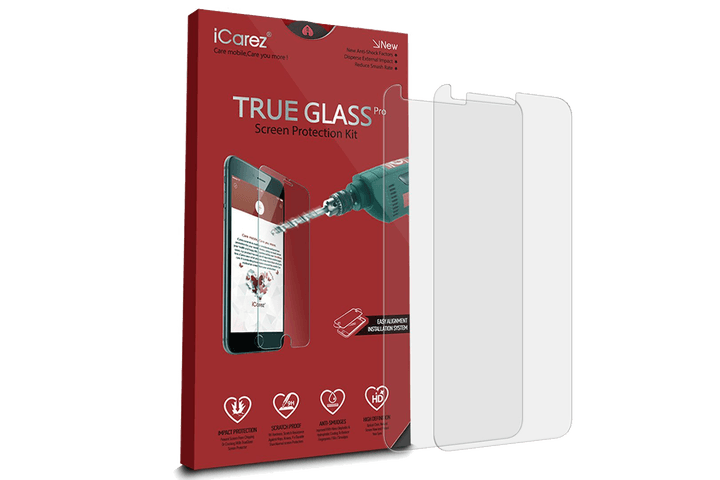 The iCarez screen protector features rounded edges, making it hard to tell if your phone is even using a screen protector. This version doesn’t go all the way to the edges, however, which ensures it will play nice with most LG G6 cases. 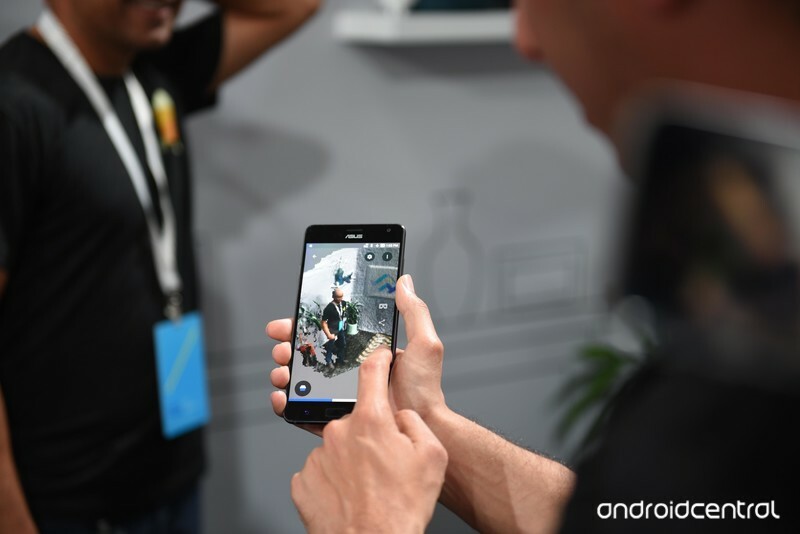 They also have a regular, 2.5D protector that goes to the edges, if you like to go caseless. Like other quality screen protectors, it also offers the utmost clarity and impact protection, without sacrificing touch sensitivity. 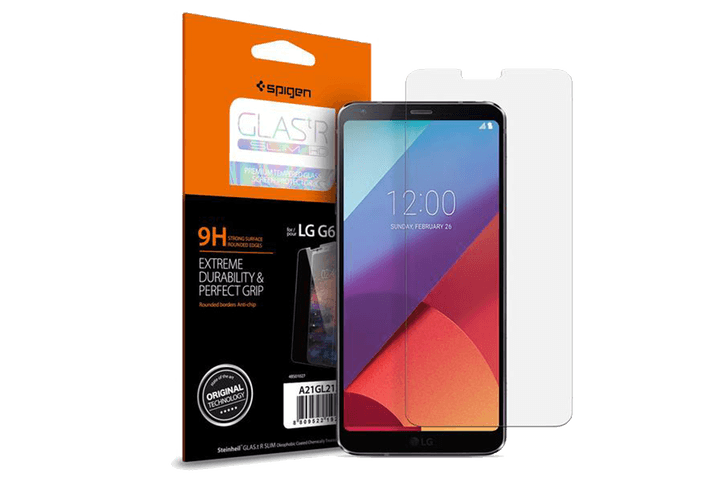 Spupershieldz offers one of the best deals you can find on LG G6 screen protectors. This bundle of three is a mere $8 on Amazon, and it offers features typically reserved for more expensive options. It is, however, worth mentioning that this tempered glass protector has 2.5D rounded edges and is not case-friendly. 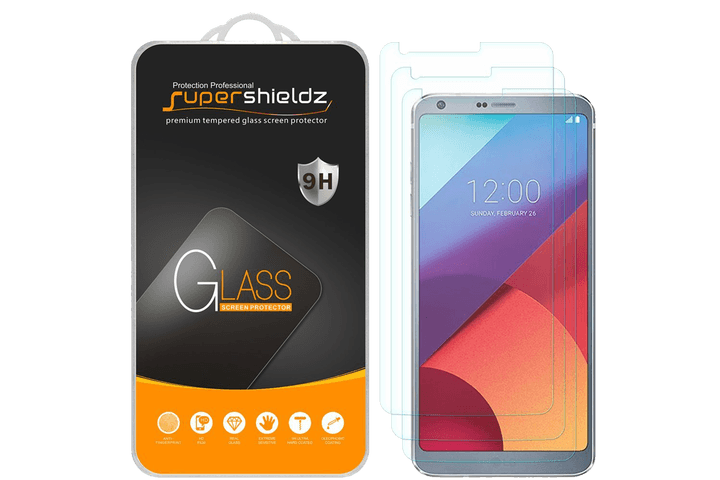 It also offers 9H scratch resistance, an oleophobic coating that resists fingerprints, and no rainbow effect, which helps maintain screen clarity. What is Kotlin and why should I care about it? 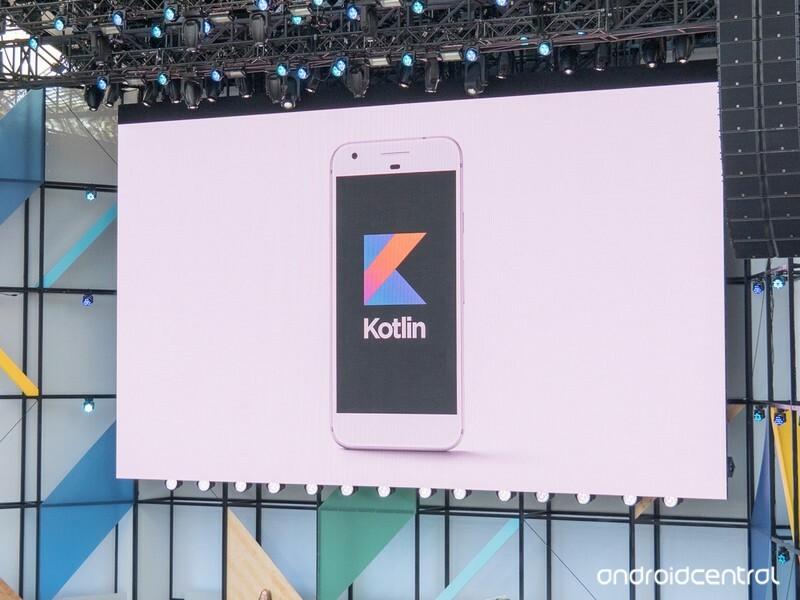 Google announced support for Kotlin in Android at Google I/O 2017, but many of us aren’t sure what’s going on or why we should care. Let’s take a look at the five things you need to know about Kotlin if you’re not an Android developer. Kotlin is a programming and development language from JetBrains. They’re the folks behind the IntelliJ Java IDE and Kotlin is really, really interoperable with Java. That means developers can use the Java Libraries they already use now, and the code they write with Kotlin can also be converted to Java and vice versa. This is important because Java is one of the most-used programming languages in the world, and has been used for Android since the beginning. Throwing away that much work is silly. Why are developers excited about Kotlin support? You saw developers stand and cheer, too, huh? The code written with Kotlin is simpler than the Java equivalent, even when it references the same libraries or classes. It’s more human-readable, which makes debugging a breeze and it’s just better all around for writing Android apps with as little overhead as possible. Is Java being phased out? If anything, Java is being made stronger and better with the newest versions of Android and Android Studio. As mentioned above, Kotlin and Java are closely related at their base and adding support for Kotlin makes Java better. One day, Java will be forgotten about. That day won’t be soon and it won’t be becasue of Kotlin. Will the apps be better or look different? They could be better or even just look better because a developer has more time to work on the UI, but functionally Kotlin and Java are compatible and will look the very same. You won’t know anything is different. Where can I learn more about Kotlin or get started using it? Visit JetBrains’ Kotlin website for everything you need to get started. You can use Android Studio, Eclipse, IntelliJ IDEA or a standalone compiler to build Kotlin apps for Android or your web browser. There are even great tutorials to get you pointed in the right direction! It’s not difficult, and it’s fun. Don’t be afraid to try and learn as much as you can! Get lifetime access to 1TB of cloud storage for only $29! Our current, tech-obsessed world demands a storage solution for your multimedia data, the most convenient being cloud-based storage which you can access from anywhere. Most cloud-based storage services charge a monthly fee, which, over time, adds up to quite a fee. Those of you sick of subscription fees need a storage solution that requires a single payment for a lifetime of access. More importantly, you need cloud storage that is encrypted and can be accessed from all your devices. Right now, Android Central Digital Offers has a deal on 1TB of cloud storage from Zoolz — a single payment of $29.99 gives you lifetime access. Does this seem cheap? It is! This is 99% off the regular price of $3600. You will never be charged any extra fees, and you can access your cloud storage from multiple devices. Your data is protected with 256-AES encryption to better safeguard your stuff, and you can schedule backups and throttle bandwidth during uploads. Place files you know you won’t soon need in cold storage — takes three to five hours to access — or place files you frequently need in standard storage that can be accessed instantly. Considering 1TB of storage from other popular services costs about $10 per month, this deal will pay for itself in four months, and you can keep using it forever. Even if you don’t think you need it now, you probably will need it in the future. Don’t miss this great opportunity to snag 1TB of cloud storage for only $29! The Android Central team of Daniel, Jerry, Andrew, Alex and MrMobile take on all the big announcements from Google’s expansive and intimidating developer conference. 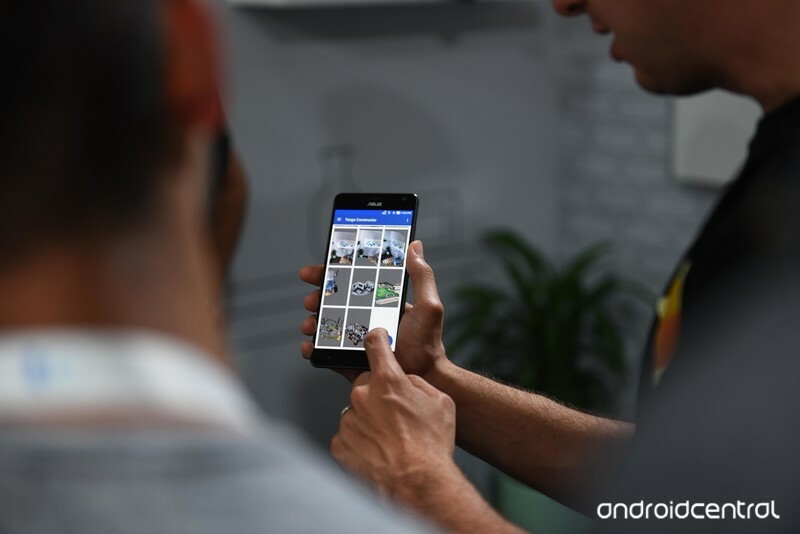 Unlike last year, there weren’t any huge product announcements, nor new products, but what we got — updates to Android O, Assistant, Home, Photos — and the introduction of Google Lens and standalone Daydream headsets, give us some insight into Google’s AI and machine learning future. This episode of the Android Central Podcast is brought to you by Thrifter, the best place to get great deals in your inbox every day! 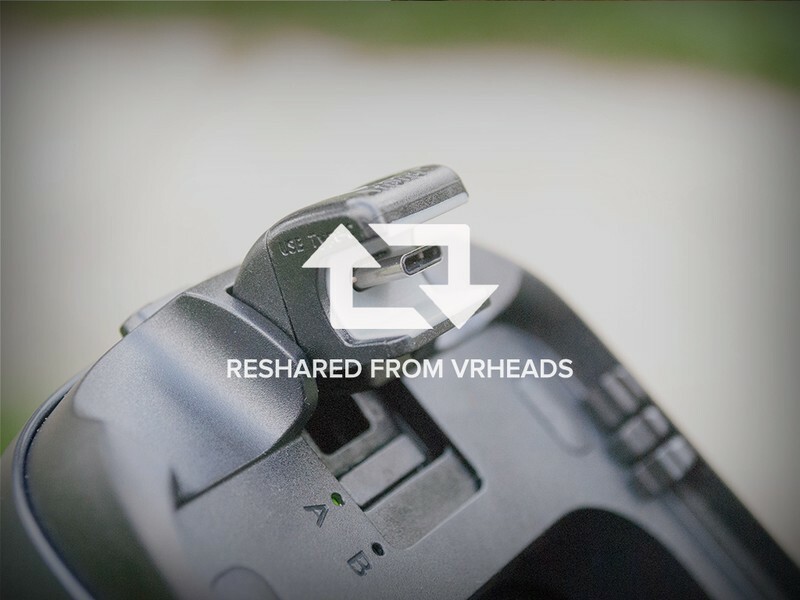 Finding the right adapter is easier than you think. Having a Gear VR means that you have portable VR right at your fingertips, so long as your phone has enough juice to get the job done. What happens when you upgrade your phone, and it requires a new type of adapter though? That’s the question plenty of people who have upgraded to a Galaxy S8 have been asking, and we’ve got answers. All you need to do is order yourself a handy little Type-C adapter, and you’ll be good to go! We all know the humble URL; it tells the internet where we want to go. But, as digital artist Alexander Reben discovered, it can do so much more. It turns out that entire webpages can live within its character string — you just need to know how to build them. Reben does, and has been using a technique he developed to hide tiny works of art — like digital treasure chests — in your browser bar. “The original idea was to be able to embed little artworks into QR codes, so when you scanned them with your phone, it’d open a browser window with all the code embedded within the QR itself.” Reben said. “Then I realized that if I could do a little code, then I could do as much code as I can fit in a browser bar.” Turns out, the modest address bar can handle quite a lot of info — anywhere from 9,000 to 60,000 characters depending on browser and server variables, Reben explained. To create these Inception-esque URLs, Reben built 4QR.xyz, a website that generates URLs from whatever sort of code you input — including whole webpages, or in Reben’s case, digital artworks like “almost a circle” and “not again.” It can be any sort of code that you can put in a web browser, from PHP to HTML, images, video, audio or even just plain text. The encoding process itself is straightforward; it simply converts whatever you’ve input over to base64 then attaches it to the end of the URL. The decoding process reverses that, converting the base64 back to the original language before copy-pasting it back into a browser window. Interestingly, the generated web pages don’t live on any server — the URL itself is the code’s repository. When you scan one of these with your phone, all the data needed to render it (including the webpage itself) is already encoded in the link. This eliminates the need for an internet connection. “It’s only one line of code when it’s decoded so it’s really quite simple,” Reben said. And it doesn’t even need to be a QR code, as he originally designed it. Reben has managed to get the system to work with commercial link shorteners like Goo.gl and Bit.ly as well as NFC cards and even the blockchain. Welcome to the weekend. We’re looking back at all the big Google I/O news, as well as an easy way to fix WannaCry. 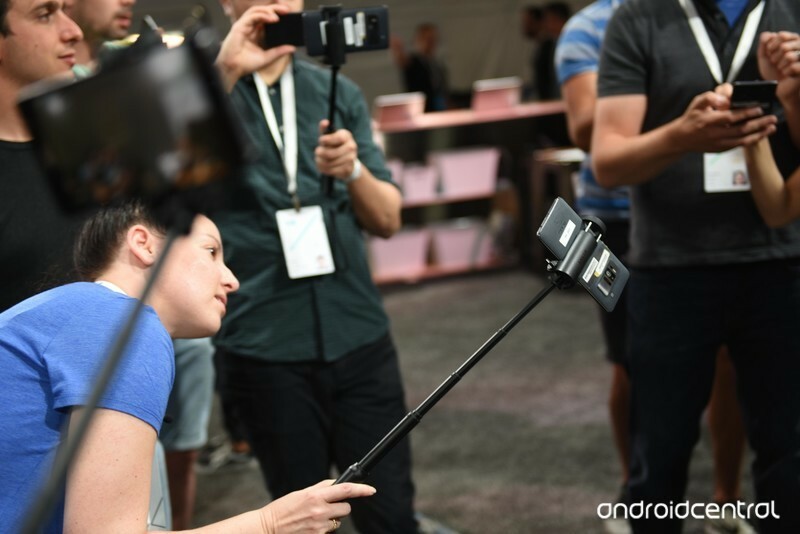 Android in cars, laptops, VR and, oh yeah — on phones too. AI-powered everything and Google Assistant everywhere. That about covers what we saw at I/O, but if you missed anything, just dive into our posts from this week — starting with the opening keynote live blog. A Washington DC court has struck down regulations that required hobbyist drone owners to register their equipment with the government. Surprisingly, the drone industry is for “reasonable” registration, and it’s possible that Congress may step in to establish the FAA’s authority here firmly. 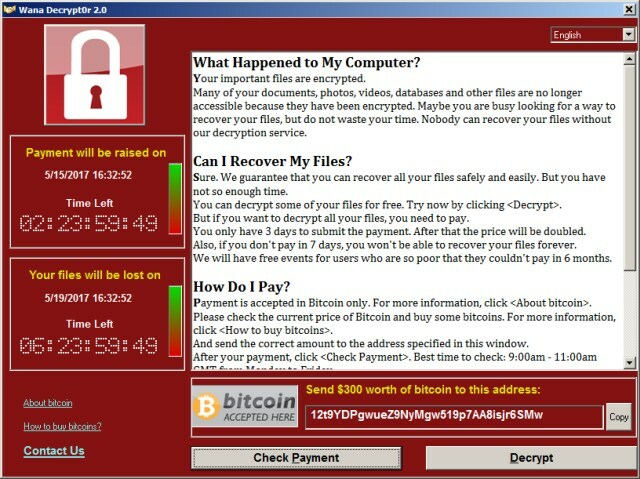 After a week, the rate of WannaCry ransomware infections has mostly ebbed, but if you do get hit there may be an easy fix. Security researchers created a program called wanakiwi that can find the encryption keys and restore your files for free, but it will only work if the affected device hasn’t been restarted yet. 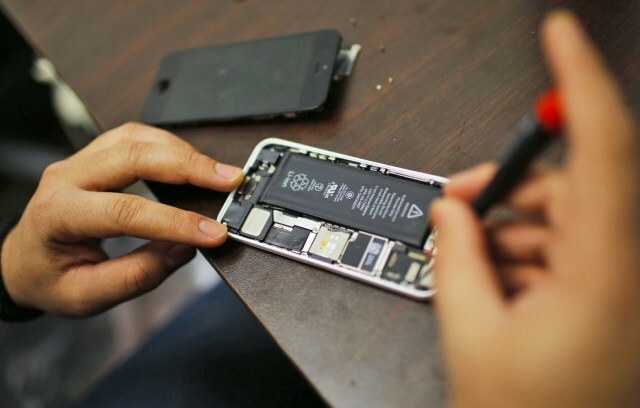 But back in January, five states introduced “right to repair” bills that would force Apple and other device manufacturers to give the public access to proper instructions and components. Unfortunately, tech giants are lobbying to kill those bills before they’re passed. 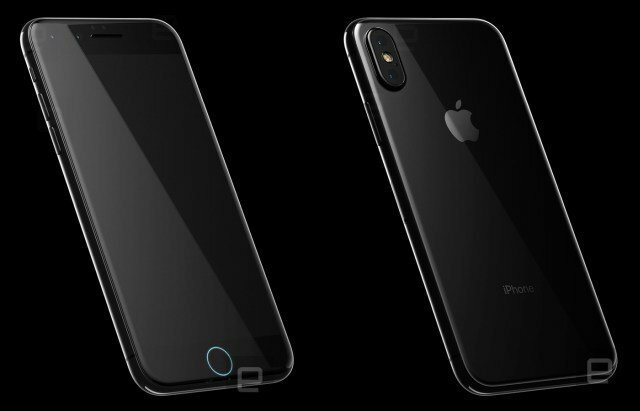 Earlier this week we received renders that may represent the look of the iPhone 8. According to our source, we’ll see a device with a vertically-oriented rear camera setup, plus a dual front camera and a home button that’s integrated with the screen. Samsung DeX review: The Galaxy S8 doubles as a desktop, but most people can stay away. The Morning After is a new daily newsletter from Engadget designed to help you fight off FOMO. Who knows what you’ll miss if you don’t subscribe. 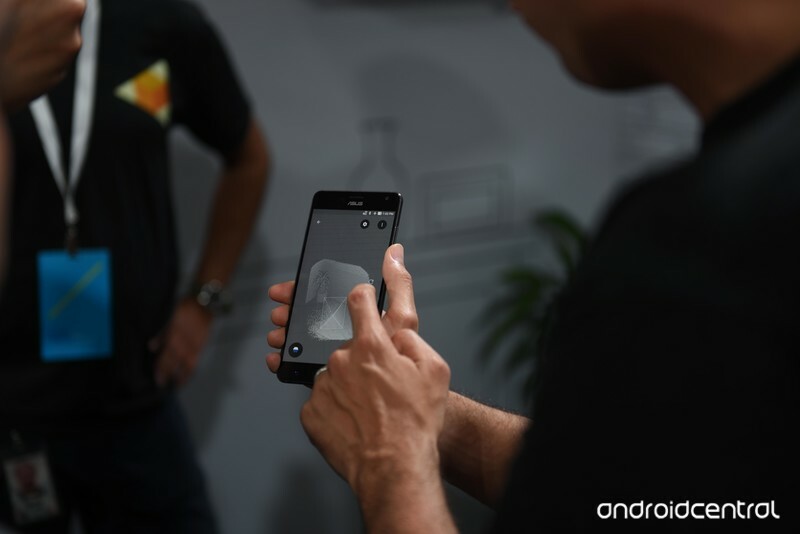 There are plenty of practical applications for AR, not to mention entertaining ones, and Google’s objective is to uncover them all. Augmented reality’s proliferation is slowly picking up pace. 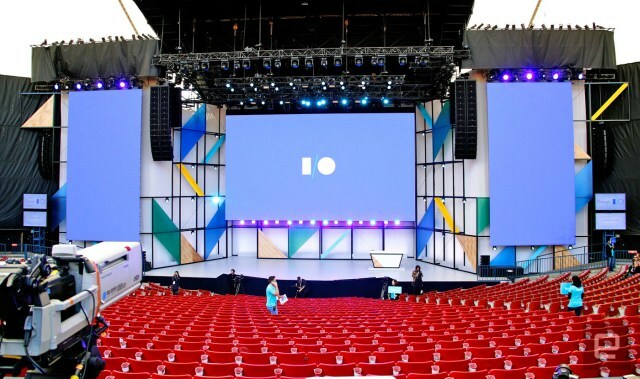 But with the way Google had it exhibited at Google I/O, you would have thought it was already as ubiquitous and commonly referred as other technologies we’ve come to rely on. It’s not there yet, but Google would certainly like it to be. Here are four examples of where the company sees augmented reality in the real world, and where it thinks it application could truly classify it as a utility. Realtors, contractors, or anyone looking to undergo a massive remodel, you might find the Tango Constructor app to be right up your alley. It’s an experimental development tool made to show off how Tango-enabled devices can capture three-dimensional models of different surroundings. The models can then be exported as mesh files and used in other apps, like Unity. You can map out your surroundings with Tango Constructor. 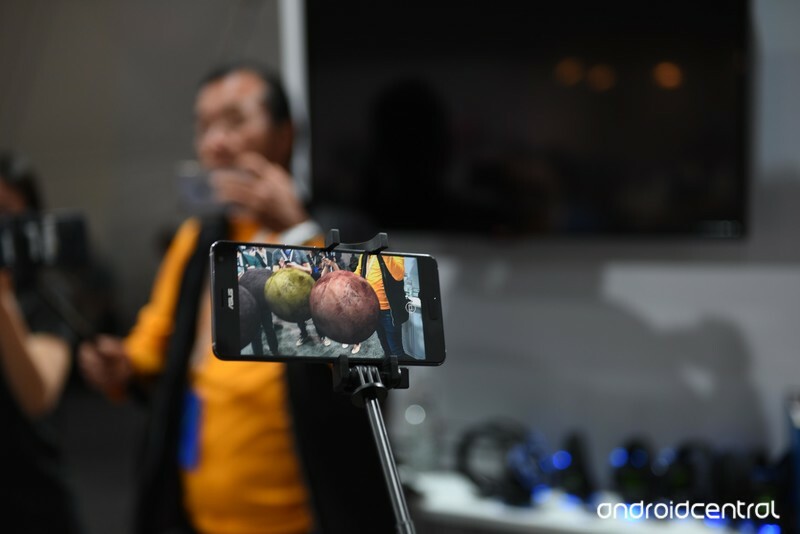 During the demonstration, I got to see the Asus ZenFone AR put to use with its rear-facing dual cameras and depth sensor. All it takes to map an area is a simple point and shoot, and the app does the rest of hard work stitching the image together. It works akin to capturing a Photosphere in real time, and it’s just as quick at rendering the scene. When you’re finished mapping your surroundings, you can pop the Tango phone into a virtual reality viewer like Cardboard to look around. 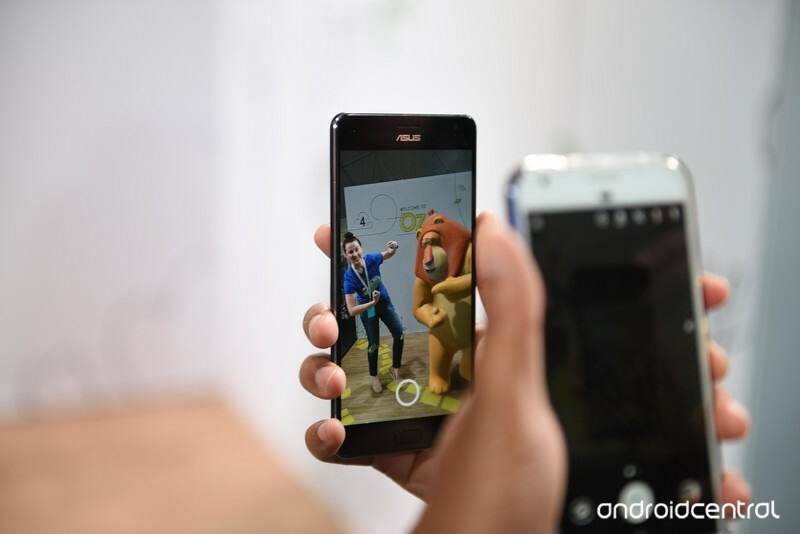 If you happen to have a Tango-enabled device, you can try it out for yourself right now. Google’s always been particularly proactive at showing its technology’s worthiness, especially with regards to how it can be utilized in classrooms. 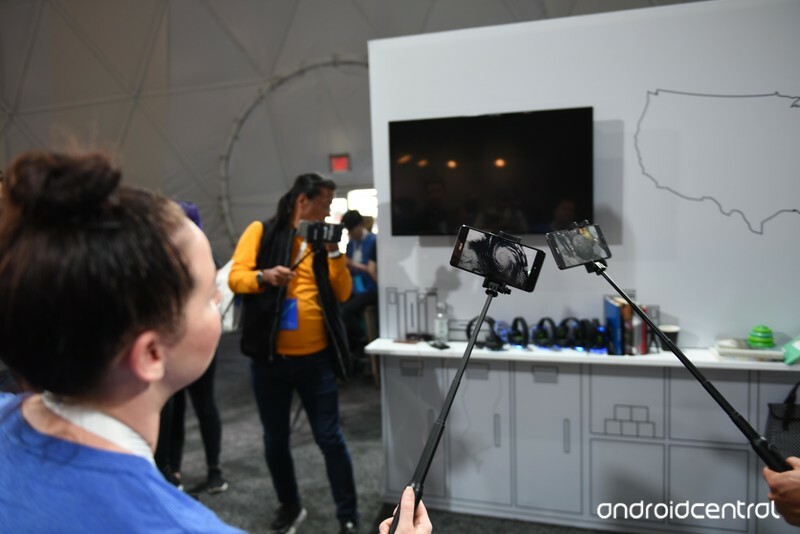 At I/O, it showed off AR’s usefulness with regards to the “virtual field trip,” essentially enabling an entire class of students to see and experience the same content with merely a Tango-enabled smartphone and a selfie stick. Classrooms can go on virtual field trips with Expeditions AR. Expeditions require one person to broadcast and control the content — in the classroom’s case, this would be the teacher — while the other linked devices display what’s going on. And the best part is that you can move around completely while in the expedition. In the demo I tried at I/O, I looked inside a Category 5 hurricane forming over the Atlantic Ocean, and then crouched down to take a peek at Antarctica. If you’re interested in Expeditions AR for your own classroom, you can sign up for more information. I do not enjoy driving to the mall to try on new clothing, which is why I tend to do most of my shopping online. But shopping for clothing can be hard, and oftentimes I find that I’m returning more stuff than I’m buying simply because I didn’t know what the fit was like. 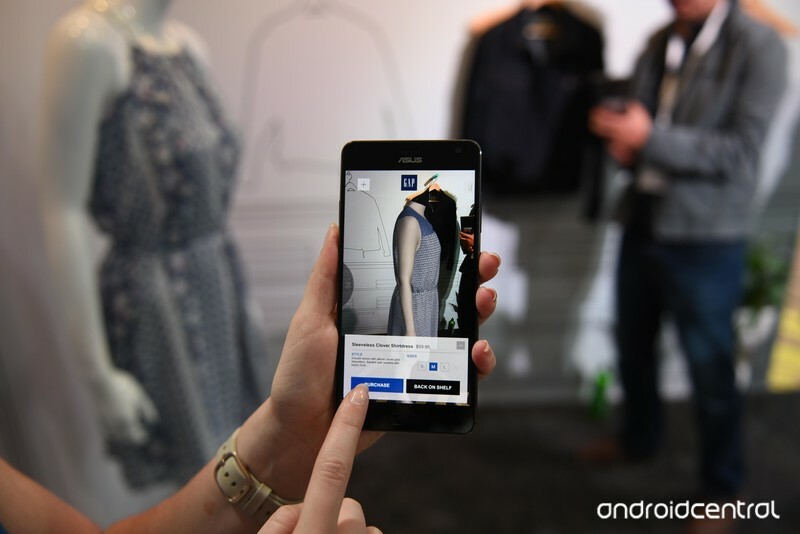 DressingRoom by GAP lets you virtually check out that white shirt before you buy it. 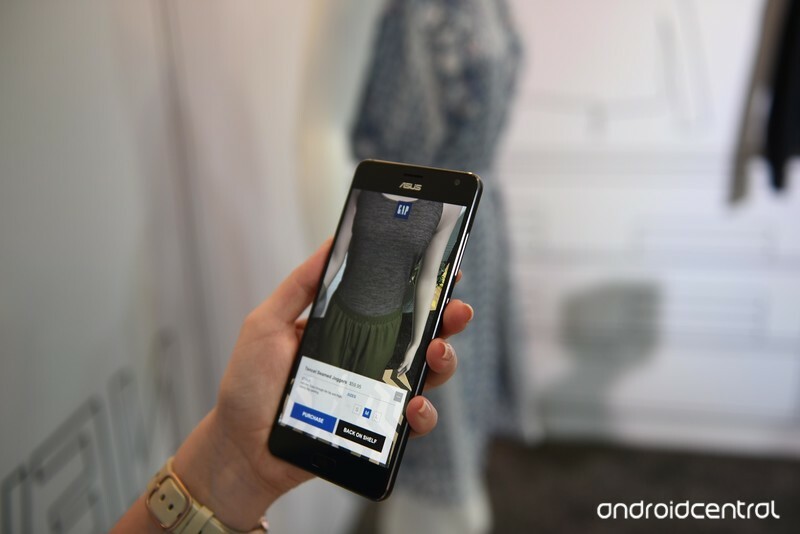 The DressingRoom by GAP app aims to help solve this conundrum by bringing the dressing room into your home with augmented reality. It’s a neat concept, and extremely easy to use. All you have to do is drag the item you’re interested in to a flat surface, and then step back to check out the full mannequin. You can walk around it to see its fit and even adjust the size of the mannequin if you like, or you can add additional items to compare looks. I like the concept of being able to effectively shop from the comfort of your living room, but this particular execution doesn’t seem like something I’d use to shop online. It certainly helps to visualize the fit of a pair of jeans, but I’m hoping to see this particular technology evolve so that it’s a virtual me trying on the clothing and not some pre-programmed mannequin. If you have a Tango-enabled device, you can try the app yourself. Sadly, this isn’t a demonstration that you can download and try for yourself, but it was too cute not to share. 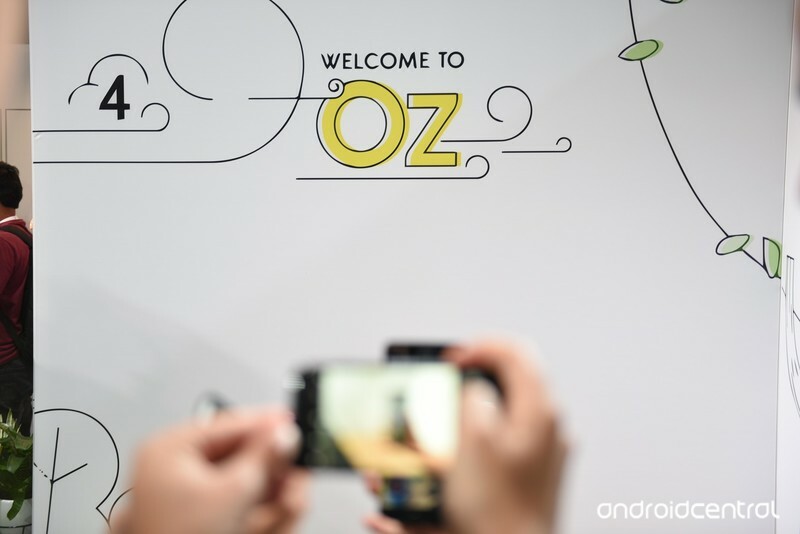 If you’re already familiar with Spotlight Stories — essentially, animated shorts made to be viewed in VR — then you might enjoy the concept behind Welcome to Oz, which allows you to interact with the various characters from The Wizard of Oz. 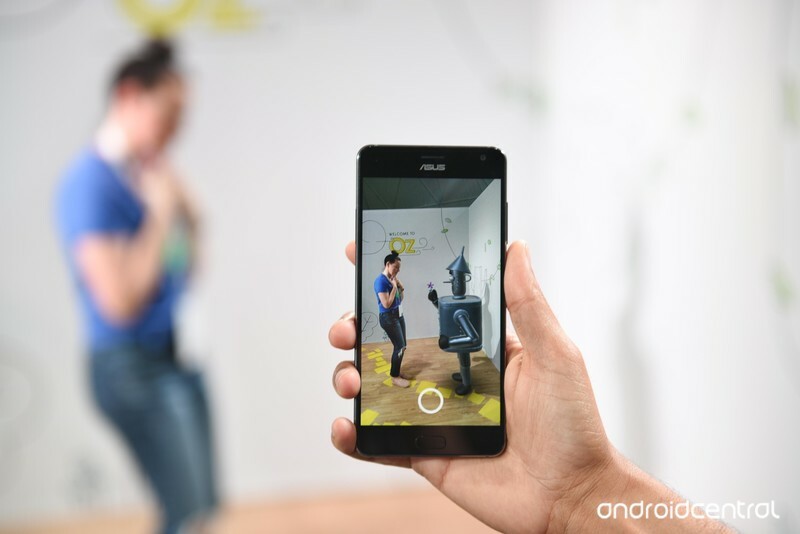 Pose for a picture with an augmented reality character! I had a quick look at the feature and it’s delightful. All you have to do is point the smartphone towards whatever is in your environment to see the characters. The rendering itself is impressive and made even more realistic with the detailed shadows and textures added to make the characters stand out as if they’re actually part of the scene. There’s also a mode that lets you pose for a picture with several of the featured characters.